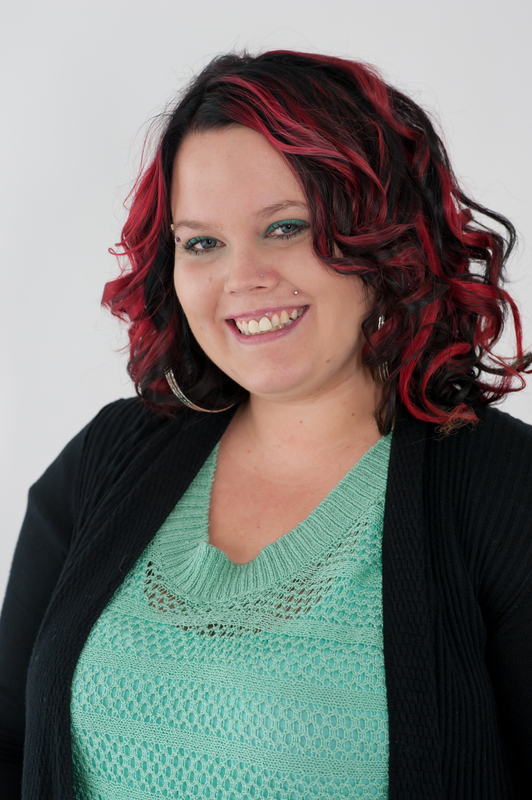 Krista Kyle, 29, of Brantford, has had a long journey to get where she is today. This is her story, in her own words. I have had difficulty in school as long as I can remember. When I was 19 years old, I got pregnant with my first son. Brayden was born in 2005 I had absolutely nothing to offer this baby. I was bouncing around, with no place to live. Many people wanted me to end my pregnancy but I just couldn't do it. That was my baby and nobody was taking him away from me. As I approached the end of my pregnancy, I would rub my belly and talk to my baby boy, promising him that I was going to do my best to give him everything he deserved in life. When my father finally accepted the fact that I was going to have a baby, we went for a drive. He got me to read an article about a young woman who had a disabled child and went back to school. He advised me that having a baby either makes you or breaks you and he was hoping this would make something of me. Early on in life, Brayden was diagnosed with wheezy baby syndrome and need a breathing machine several times a day. He has been a challenging child. He struggles with attention deficit hyperactivity disorder (ADHD), and behavioural and anxiety disorders. We have many struggles to this day, but we do the best we can and we make it work. I tried to return to school several times to obtain my high school diploma, and was never successful. But in 2008, I took independent courses and night classes and, finally, achieved my diploma. At my graduation, an amazing instructor at Career Link, Meridyth Taylor, stood up and hugged me after I took my diploma. She had believed in me the whole time and now I did, too. It was my first big accomplishment and I couldn't have been happier. In 2009, I took the Future Directions course at Mohawk College and, based on some of my scores; it told me I wasn't capable of doing many things. I kept working towards my goals and won an award for being "the most persistent student." Around that time I heard about the Personal Support Worker (PSW) course, offered through Grand Erie Learning Alternatives, and applied. This is when I started doing some volunteer work at the John Noble Home, where I found my passion. I met a lot of interesting people with amazing stories who needed me as much as I needed them. I was at the John Noble Home when the program co-ordinator called me to tell me the unfortunate news -- that she couldn't offer me a spot in the class. I was devastated. I had a reputation for starting something and giving up, so I understood. After all, she was looking for successful candidates, not someone who was going to waste everyone's time. So I wiped my tears and continued volunteering. After all, being there brought out the best in me and made me very happy. Why would I give that up? A couple of weeks went by and I received a follow-up call stating that she recognized my commitment and she offered me a seat in the program. I completed my PSW course in 2010 and I was hired right out of class. On Valentine's Day 2012, I had my second child, Landen, who I was told was going to have a cleft lip and pallet and cystic fibrosis. My heart broke a million different ways hearing this. Fortunately, he didn't have either. Later on that same year, I decided I wanted to go back to school to be a nurse. So, that meant going back to upgrade my science and math. I learned of the bridging opportunity at Conestoga College. I applied and was accepted. Looking back eight years ago, who would have thought that I would be the person I am today? Instead of letting my mistakes hold me back and control me, I taught myself to learn from them. I don't think the rest of my journey will be easy, and I am without a doubt certain that I will stumble now and again, but I won't give up. In my heart I believe that courage doesn't always roar. Sometimes courage is the quiet voice at the end of the day saying, "I will try again tomorrow." To answer the question, what would I say to someone thinking about going back to school? Don't wait until tomorrow, do it now. I promise that once you accomplish one thing, it's like an obsession, an incredible feeling that you will thrive on. Have passion, determination and commitment and, most importantly, believe in yourself.